There is no concern , which job you are performing , working safely is an essential formula that every person to follow ,to alive and to survive. We cannot say ,my workplace is hazard free , and there is no chances for an accidents . Even the person , sitting with no work for a number of hours will be at risk of back pain , which is most commonly occurring Occupational ill health. Here i have listed you 11 precious & quick tips to work safely . 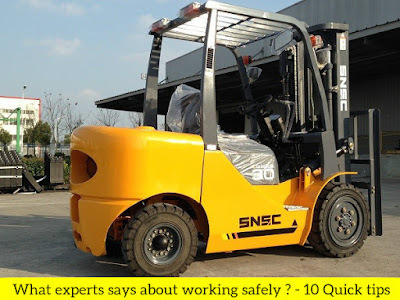 The First and foremost thing you should remember , is to do the activities only you do better & also confirm that you are familiar with the hazards and safety measures required. Working under the supervision or working under the instructions of experienced persons will not spoil your image . 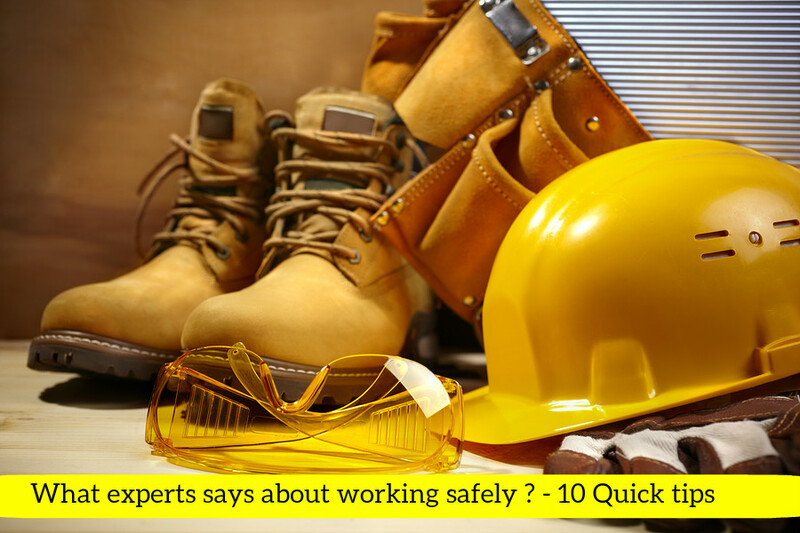 Remember doing the job with sufficient skills & experience is an paramount importance to do the job safely . 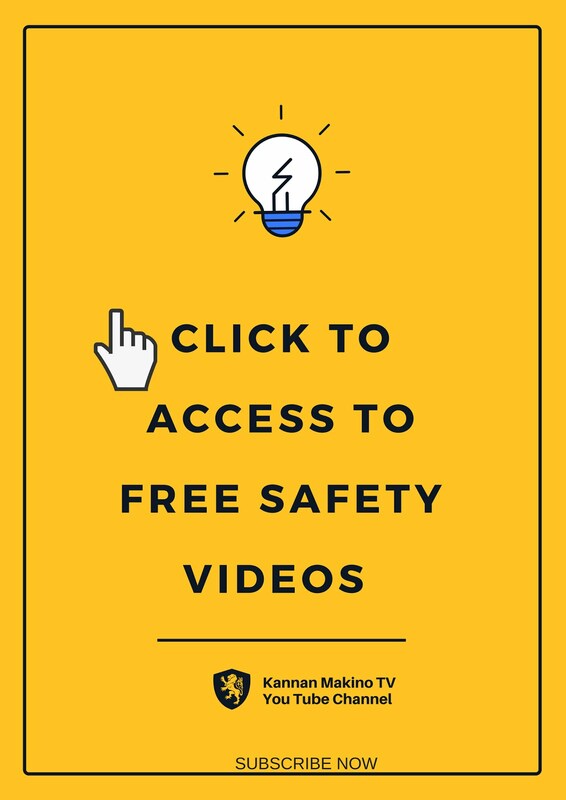 Though all your equipment's are safe and well maintained , the accidents will occur , if you are not familiar with the safe operating Procedures. Though you are 10 + years of experienced , its impossible to perform the job safely without the availability of right tools to perform the Jobs . So select the tools which are suitable & designed to perform the job . Ex : Using the forklift only to lift the materials and not using to carry the peoples. User checks are the important formula , that cannot be eliminated in the working safely chapter. So Inspect the tools and equipment's for damage , wear , tear , corrosion , or other possible defects before using It. 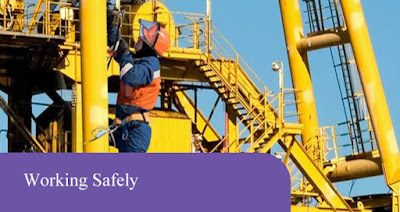 Most of the times , the major cause of the electrical accidents are performing a job in unsuitable environment . So not only for electrical , for any kind of work check the environment is safe for the type of work you are performing . Everybody knows , that wearing a PPE for a long time will be uncomfortable and will create a stress, but remember there are number of incidents in which the severe injuries are reduced into minor by the PPE . So always comply with the PPE policy & work safely. Check the Safe operating procedures for the job you are performing and be familiar with . If there is any doubt, do not hesitate to ask to the concern persons either your senior staffs or supervisors. Everybody is responsible for safety , but the level of responsibility is different . Unless you report your incidents and hazards you face during your job , there will be no solutions . So be an person initiating , report the hazards you find to the supervisors through the system which your company permits. 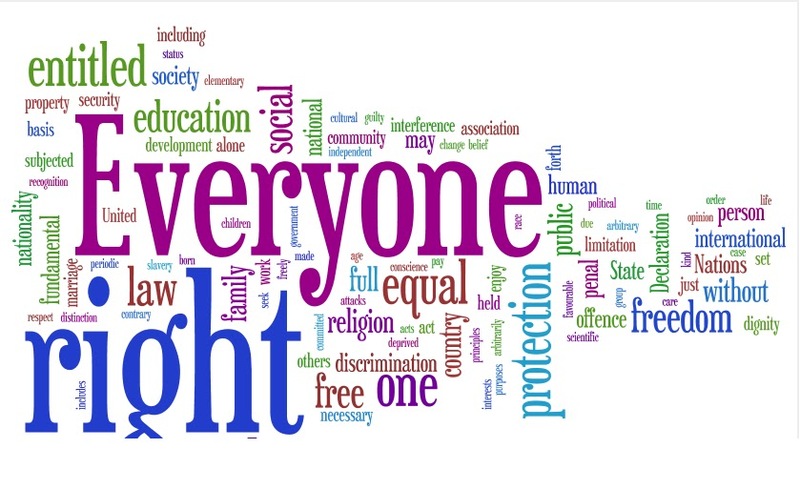 No matter you are employee or employer or self employed , everyone having the legal and social responsibility to do not harm others . So perform the job in a way , which will not harm others. Also most of the fatalities are not caused by the major cause , its because the minor carelessness. Study the rights and responsibilities of the employee or employer about occupational safety & Health.